On Friday night, the 2016 Olympic Games will kick off as athletes from around the world come together at the opening ceremony to introduce this year's competitions and teams. But one team you might have grown used to over the years won't be making an appearance during this year's gymnastics contests. Where is Romania? 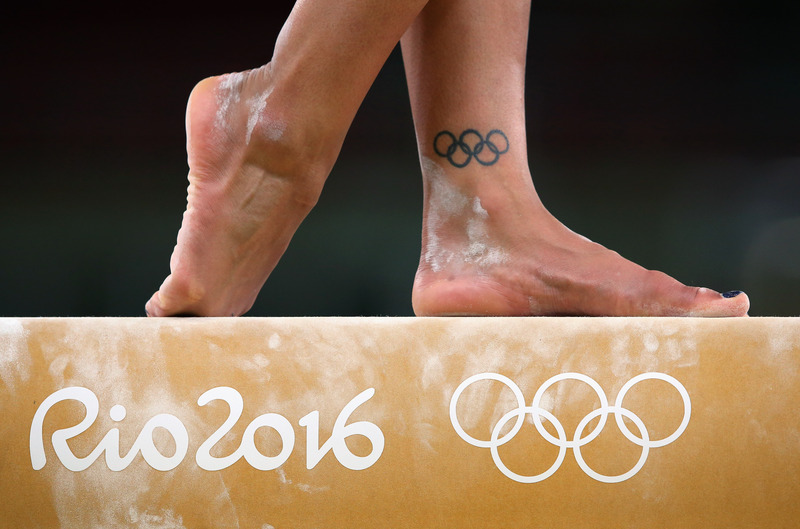 The women's gymnastics team isn't competing this year for the first time since 1968. The team has won medals in every Olympic competition since 1976 but unfortunately finished in fifth place during the final qualifying for this year's Games, thus leaving the team out of the ranks to compete. Because they failed to qualify at all for this year's games, the Romanian gymnastics team will be unable to defend their medals. However, Romania's inability to qualify this year didn't necessarily come out of nowhere. According to the Guardian, the team "failed to medal" for the first time ever in 2010 and 2011, and so kicked off their demise. Catalina Ponor, a former Romanian gymnast who was also a triple gold medalist in 2004, even came out of retirement to help the team qualify, but was unsuccessful. She wrote on her Instagram, "Today it was a sad day for us, Romania unfortunately didn't qualify for Olympics, so sad for me cause actually I come back from retirement just for this." The 28-year-old also made sure it was clear that she could still compete, sharing, "And yes I can still do gymnastics beside my age and not only to do, I still can do at high level!" Yes, girl! Romania's women's gymnastics team will certainly be missed during the competition this year. Nadia Comaneci, who formerly competed with the team and won three gold medals at the 1976 Olympics in Montreal, will be at this year's events, and she expressed sadness over her team not qualifying. In an interview with Reuters, Comaneci said, "There will be a big hole in my stomach (on Sunday) when I won’t see my team. It’s like someone important is missing from a party because you can’t imagine an Olympic gymnastics competition without Romania." Octavian Bellu, who coached the team into a series of world championships from 1994 to 2001 came back to coach the Olympic team in 2010 when they were first struggling. He currently serves as head coach. The Guardian reported that Bellu had put some of the blame on his team, and had suggested that things would be different after the Olympics in 2000 and 2004 "because of the individual brilliance of someone like Andreea Raducan, Simona Amanar, or Catalina Ponor." Bellu added, "I have my doubts regarding the girls who are now in the quad. I have the feeling they’re not motivated enough or don’t like the sport." Even though Romania will not be competing as a team, Ponor is expected to qualify and compete in individual finals to represent the country. She will be carrying the Romanian flag during Friday's opening ceremony, which kicks off at 8 p.m. ET.